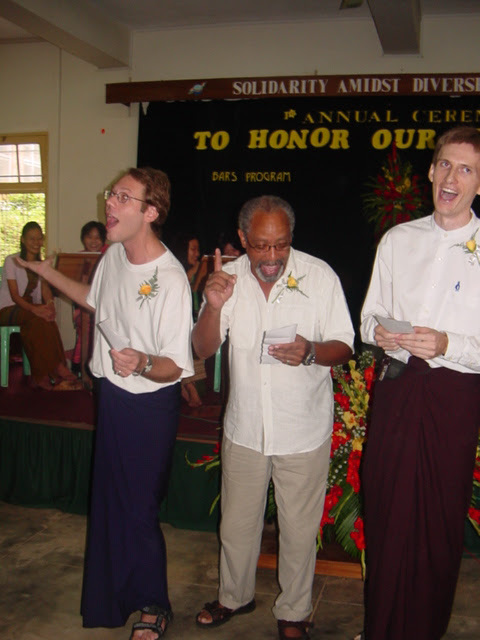 One of nice things about Burma compared to the States is we have teachers' honoring ceremony. Students show their appreciation to the teachers with a small token of love gift and nice songs. Saya G3 from BARS (Bachelor of Arts in Religious Studies) program from the Myanamr Institute of Theology singing at the Teachers' Honoring ceremony.